We currently have 7 filters to pick from. We offer the 720nm standard infrared, 850nm deep infrared, 665nm extra color infrared, 590nm infrared, a full spectrum filter, a two spectrum filter, a Blue-IR NDVI filter, and an H-alpha Astrophotography filter. The Standard IR Filter (720nm) This is the tried and true classic IR filter. It allows some visible light for false color, and good contrast for black and white. This is equivalent to the Hoya R72 and Wratten 89b. When to use this filter: This filter is good if you are interested in shooting some mild color and black and white. 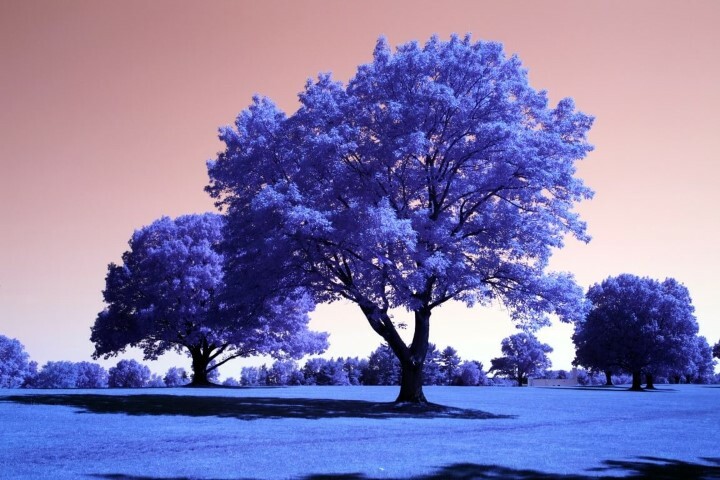 This filter produces the traditional dark blue skies and can also be processed for color. While not as high contrast as the 850nm, people prefer this filter over the 850nm for B+W work, as it allows a little more color for B+W processing. The 550nm IR Filter: Inspired by false color IR film, the 550nm lets in the most visible light of all our filters creating deep blue skies and blood crimson reds. When to use this filter: Like the 590nm but with a twist, this filter is excellent for producing attention grabbing landscapes. It’s also a surprisingly good choice for infrared portraits, since it maintains more neutral skin tones than the 590nm without exposing veins and still providing striking false color. The Ultra Color filter (590nm) The Ultra Color filter (590nm) lets more visible light in, producing the most vibrant colors. Leaves are golden yellow, and skies are bright blue. B+W contrast is lower than the deeper IR filters. When to use this filter: This filter is good for vibrant color IR landscapes, allowing the most flexibility in post processing. Also a good choice for portraits. The shallow IR shows less veins than the deeper IR filters while still creating a dreamy look. May not be as sharp as the deeper filters do to increased chromatic aberration. The Extra Color filter (665nm) The Extra color filter (720nm) has an effect between the 720nm and 590nm, producing more vibrant colors than the 720nm for pale yellow leaves and brighter blue skies. When to use this filter: My most used filter, this filter is best suited for processing to a traditional blue sky and white leaves, by desaturating the yellow in the leaves. This produces a look like the 720nm filter, but providing a richer blue that comes out more reliably between different cameras and different shooting conditions. Also a good choice for portraits. The shallow IR shows less veins than the deeper IR filters while still creating a dreamy look. May not be as sharp as the deeper filters do to increased chromatic aberration. The Deep Black and White filter (850nm) This filter is good for a dedicated black and white IR. The camera and will produce bright whites and pronounced darks. With a custom white balance in camera, the picture is close to pure B+W without any processing. Equivalent to the Wratten 87c. When to use this filter: This filter is the best for the highest contrast B+W, closest resembling traditional B+W IR film. Also good for forensics and other applications where the deep IR wavelengths are helpful. The NDVI Blue IR filter (Blue +IR) Our newest filter transmits both blue and IR, making it ideal for NDVI crop analysis applications, allowing an NDVI to be generated from a single image using the blue and red channels of the image. This filter is also handy for landscape photography, as it produces a similar effect to the 590nm after a channel swap, right out of the camera. When to use this filter: Good for crop analysis purposes and a false color IR without post processing. Due to the multiple bands the lens has to focus with this filter, the images are less sharp than they can be with the dedicated IR filters. The Full Spectrum filter (clear glass) makes the camera sensitive to UV, visible, and IR light, allowing switching between various external filters to achieve the desired effect, this allows going between infrared and regular shooting with one camera, however on DSLRs opaque infrared filters will block composition. 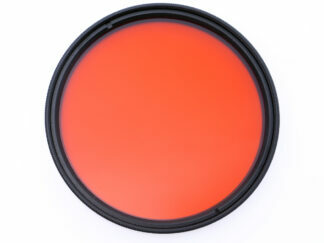 The Two Spectrum filter (IR + Visible) makes the camera sensitive to visible and IR light. It works the same way as the full spectrum, while filtering out UV for better color rendition in visible light shooting. The first consideration is deciding if you will shoot color or not. If you plan to shoot only B&W then the 850nm filter is the best choice. If you will shoot even occasional color, then you will need to go with the 720nm filter or below. When choosing between the 590nm, 665nm, and 720nm, the first consideration is your aesthetic preferance. If you like the yellow leaf effect, you would need to go with the 590 or 665nm option. If you would like to shoot regular color shots, with white leaves and blue skies, then the 720nm filter is probably right for you. 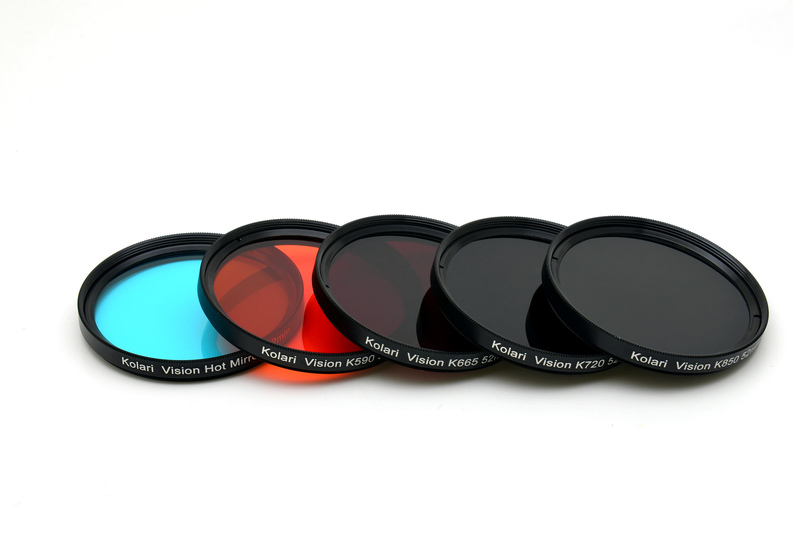 With these enhanced color filters, you will have an increased color range to work with. With processing, it is possible to desaturate photos from these two filters to look like the 720nm image. This adds some more flexibility when shooting, and allows for good color results in some shooting situations that would not work so well with the standard 720nm filter. Some cameras don’t have very good color results with the 720nm filter, such as the Nikon 5400 and some Canons Powershots, so the 665nm filter can overcome this effect. Another really nice benefit with these filters is that you can use higher cutoff IR filters over them. For example, with a 665nm conversion you could use a 720nm, 850nm and still take handheld pictures that will look exactly like the higher cutoff filter. You couldn’t use any lower filter though, like the 590nm filter. If the camera you are converting has live view, this is an easy way to take advantage of both the color and B&W aspects of IR. A downside to these two filters is that they have less contrast for B&W images. Another downside is that cameras will have a harder time setting a white balance with the enhanced color filters. These filters can be more unpredictable, yielding different results depending on camera model and shooting conditions. See our article on How DSLRs and Compacts handle Color. Another thing to watch out for, is that the 590nm and 665nm filter can be a little less sharp than the 720 and 850nm filters. Since they let a wider spectrum of light in, there are more chromatic aberrations and a bit softer focus. On most compact cameras the replacement filters need to be very thin and will leak more visible light, so 590, 665, and 720 filters can produce duller color. The 800 and 850 filters will also leak a little visibe light. They will still be monochromatic but they may be red or blue tinged and require processing. To achieve a good false color effect with the 590 and 665 filters, a custom white balance is crucial. You should not order these filters if your camera does not have a custom WB option. Also, just because your camera has a custom white balance setting, does not guarantee that you can achieve images like above with these filters. Camera white balances were not made to work in infrared, and the camera may not be able to measure a white balance properly leaving you with unexpected results. 590 filters have the most trouble with this. If your camera does not have a custom white balance option, the 850 filter still work for B&W photography. 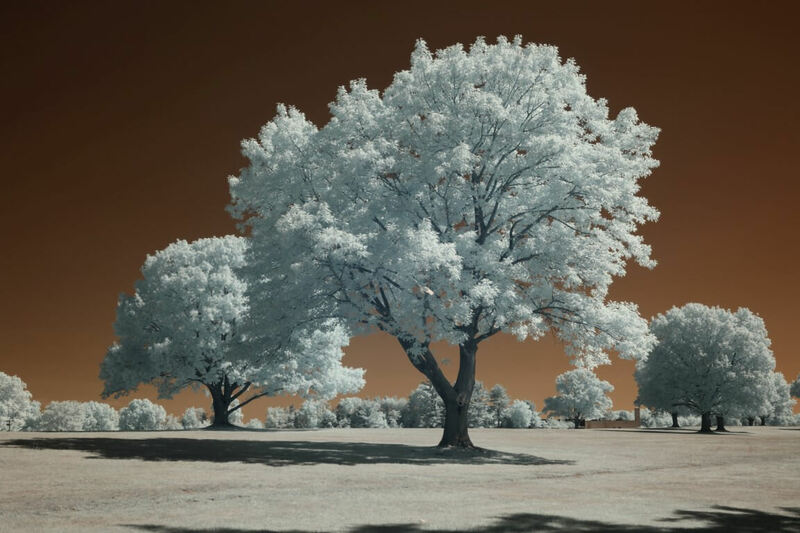 The 720 filter can still be used to get good false color results even with automatic white balance, although the results are not quite as reliable. The full spectrum, or clear filter, does not have many distinct uses on its own, but rather it gives you the flexibility to switch between different external infrared filters and still shoot handheld. It makes the camera sensitive to visible, infrared, and UV light. See our Full Spectrum article to see when you should consider full spectrum as an option. Two spectrum is our new unique conversion that makes the camera sensitive to visible and infrared light and blocks UV light. If you do not plan to shoot UV, this is the best option and gives better color rendition for visible light photography. See our Two Spectrum article to see when you should consider a two spectrum conversion as an option. in the Good Performer lens list, some of the lenses don’t accept filters. how can they be good performers if they don’t accept filters (unless there’s an adapter for a type of cokin square filter). Our infrared conversions install an IR filter over the sensor, so that you don’t need to do any additional filtering at the lens level. It’s one of the benefits of converting to a dedicated filter, you can shoot infrared with fisheye lenses and lenses that don’t accept a filter! Thanks for that informative article, it helps a lot. 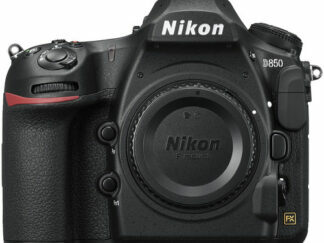 Currently I am thinking to convert Nikon D5000.My interests are between 665 and 720.Can you please recommend the best grade for D5000, based on already converted users feedback and also with your invaluable know-how? The 665 or 720 will both work on the D5000, but the D5000 will unfortunately not set a white balance with either filter. You would need to shoot RAW and set a custom white balance in software to get false color. Hi! I have a Sony a55 that I’d like to convert to 665nm. Will it custom white balance? That camera will work great with that filter and won’t give you problems with video. I’m considering converting my Sony a7r with either the 665 or 720 filter. Would that work well? I want capability for both B&W and some color. I don’t mind having to post-process to get the best results. I can set custom WB in the a7r and that has worked well for other applications such as shooting stars at night. Am I correct in understanding that if my camera is converted to 590nm I can gain the effects of 665, 720 and upwards by simply adding a special filter to the lens? What if any are the drawbacks in doing this? Can I go as far as the Blue IR NDVI filter? That is correct. The main drawback is that you will lose your optical viewfinder since you won’t be able to see through the lens anymore. You would need to use live view to compose and autofocus with a filter on the lens. On a mirrorless camera there are no drawbacks. The Blue IR filter would not work over the 590, that is a multi-bandpass filter that only works on full spectrum. In looking at the filter table above, what does the “Channel Swapped” column mean. This means it was post processed to swap the channels. Usually this involves remapping red to blue, and blue to red, to make the red sky that you see directly out of the camera look blue. We have several tutorials on how this works and several actions that make it a one click process in Photoshop. 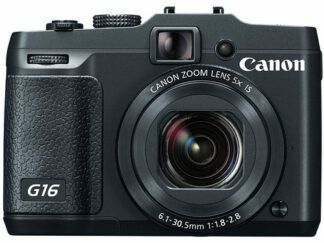 I want to replace my ancient F/T IR Canon D60 (not 60D) with a conversion of my Canon 5D Mark 2. I want this for only black and white work. Will this lens work with the 850mm IR filter? If you don’t have that information, could I shoot with the Tokina using my F/T IR D60 and see if I get hot spots. If there is no hotspot on the D60 images, could I be confident that there will not be any appreciable hotspots on my 5D2 images with this lens. Do I need to send the lens to you. ?I don’t want to permanently change the lens to F/T IR use. It has IR marks on the focusing scale for 28-50-70mm. The 5D2 also had live view AF capability. Will these filters work on a camera that is NOT converted? Only the 720 can work on a stock camera, the rest require a camera conversion or full spectrum camera. What happens if I have a converted Canon G-10(720) and I use a another Ir filter in addition to the built in filter? I have a couple different range filters- I realize I will not be able to see after I install the second filter- I would be tripod mounted, and composition ready before installing the second filter. With a 720 converted camera, you could apply deeper filters like the 850 onto the lens, and get the 850 look. You would still be able to compose and see through the lens filter, no need for a tripod!